A soft and sweet collection inspired by summer in the Hamptons. Sailor's outfits in fresh tones such as sky blue and sorbet yellow in dresses and blouses with volumes stand out and are combined with delicate garments in floral prints. 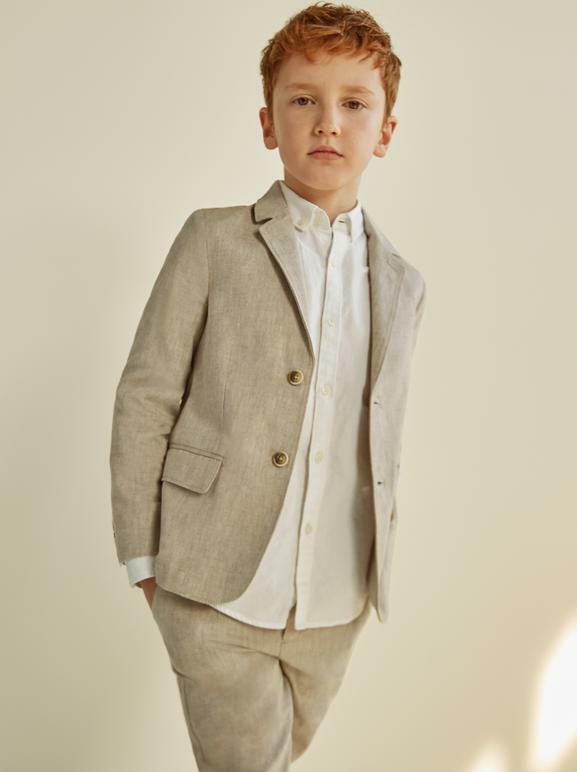 In the boy's collection, tailoring in neutral tones such as navy blue and beige predominate, giving the outfits a relaxed air.